I love to entertain, and I love a good theme party even more. I’ve had wine pairing dinners and appetizer-only parties, but my friends were a little apprehensive about the theme of my latest event. 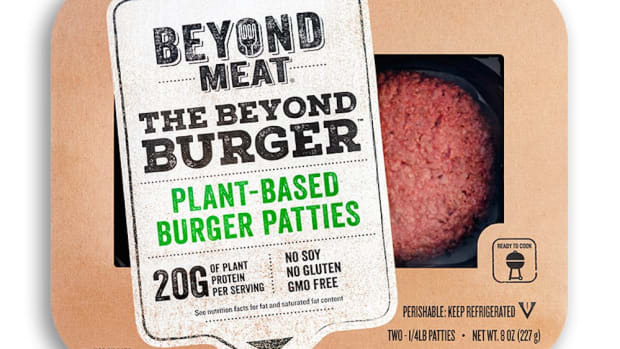 I wanted to gather a group of meat lovers to try the latest burger from Beyond Meat, the Beyond Burger, that’s supposed to be the closest thing yet to a beef burger. I eat meat, but I also enjoy a lot of plant-based meals. Most of my friends lean more carnivorous than vegan, though they’re starting to keep a closer watch on their diet as the years roll on. 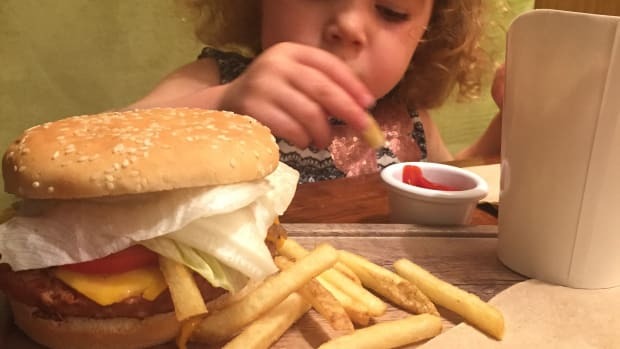 So getting them to try the Beyond Burger wasn’t a huge stretch, but it also wasn’t something they were super excited about. The problem is that many vegetarian burgers have literally left a bad taste in people’s mouths. 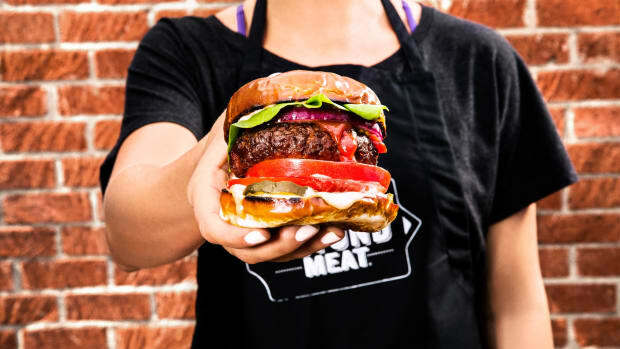 A heavy dose of beans and grains has caused many plant-based burgers to be sadly lacking in the meaty flavor department, especially compared to actual meat. Not only that, but the structure and texture of old-school veggie patties simply can’t hold up as well as their animal-based counterparts. 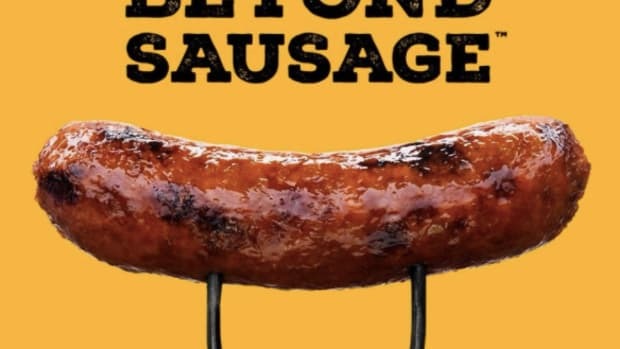 Beyond Meat spent seven years creating and fine-tuning its plant-based Beyond Burger, before releasing it to the public in 2016. The patty combines pea protein with other natural ingredients like beets and a few different oils, for a dense, moist burger. The addition of beets gives it a pinkish hue and even makes it look like the patty “bleeds” while cooking. The Beyond Burger is also soy-, gluten-, and GMO-free (yes!). My friend Jeff took responsibility for grilling the Beyond Burger patties. He brought them out to a fired-up grill and gently placed them on top. They cooked quickly—about two and a half minutes per side. One of the four burgers split while turning, but the others retained their shape throughout. Jeff said next time he’d cook them in a skillet so he could maintain better control of the patty. I was encouraged to hear that he was already thinking of a next time. When the plant-based burgers came off the grill, my friends did their own dressing, and then dug in. Valentina held the burger out in front of her, admiring its firm, beef-like texture, “It looks really beautiful.” Aimee took a bite and simply remarked, “It’s good.” Heads bobbed in agreement while chewing ensued. The consensus was that the Beyond Burger was quite flavorful. It had good texture and held up well on the grill-better than any other veggie burger. The trouble came when people starting comparing the taste to that of a beef burger. Beef definitely has a deeper, more savory flavor, with a longer finish. 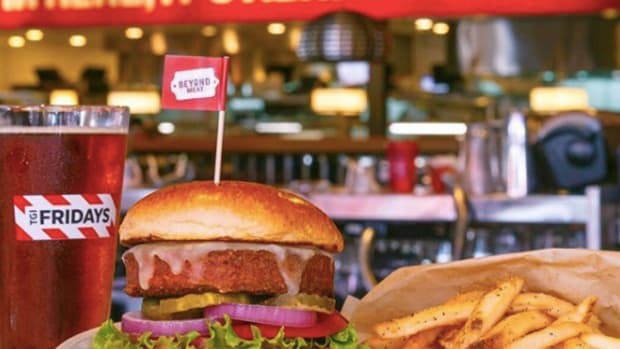 On its own though, the Beyond Burger is a great tasting patty. Then there are the health benefits of eating a plant-based burger. 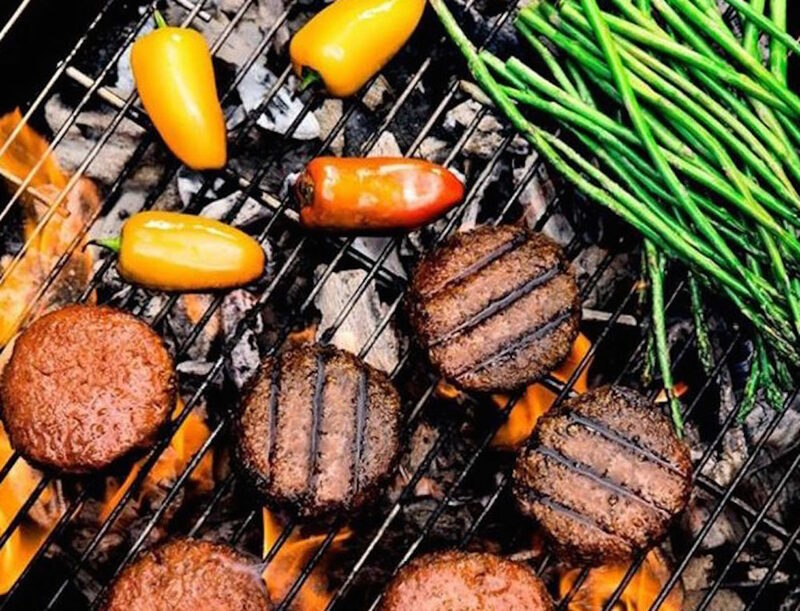 According to Beyond Meat, the Beyond Burger has 20 grams of protein versus 19 grams from animal-based beef. The burger also has 25% iron, instead of 12%, zero cholesterol vs 80, and five grams of saturated fat, instead of nine. 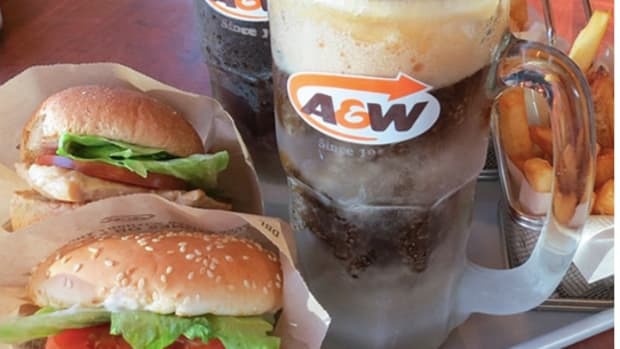 It’s hard to argue with the plant-based numbers compared to beef burgers. 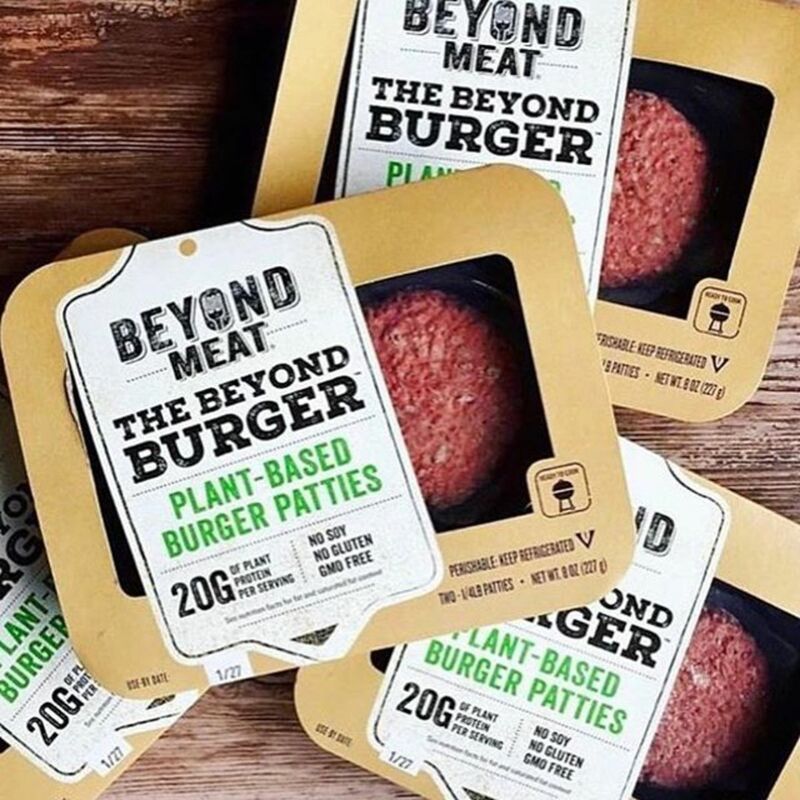 You can find the Beyond Burger in select Whole Foods and Safeway Stores across the country, often in the refrigerated section next to the ground beef. I had to go to four different Whole Foods stores before I found one that had the Beyond Burger in stock. 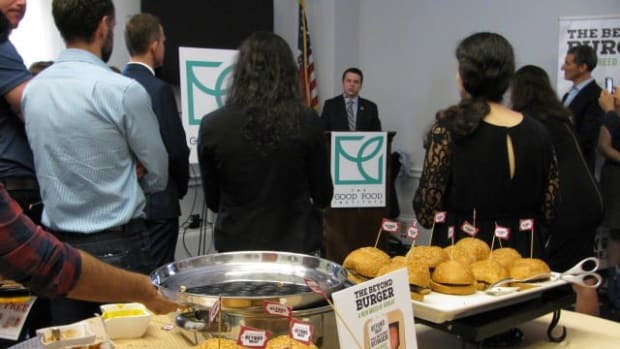 A Whole Foods rep said the stores have been having a hard time keeping the popular burgers on the shelves, and that they sold out for the July fourth weekend. 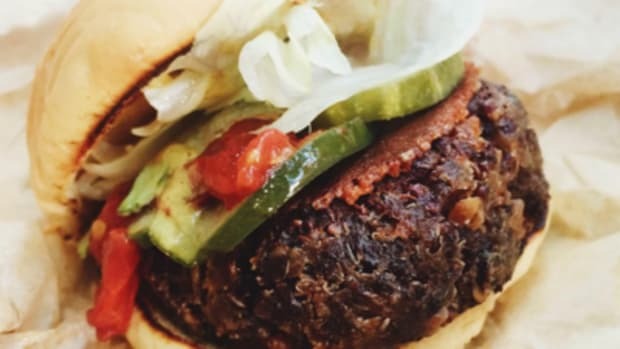 Whether you’re a meat eater or vegan, the plant-based Beyond Burger is a good tasting patty that’s healthier for you than beef, and also a nice burger alternative.